AI World Government provides a comprehensive three-day forum to educate and inform public sector agencies on the strategic and tactical benefits of deploying AI and cognitive technologies. With AI technology at the forefront of our everyday lives, data-driven government services are now possible from federal, state, and local agencies. AI World Government gathers leaders from across government, technology innovation, business, and research to present the state of the practice and state of the technology to assist the public sector in leveraging advanced intelligent technologies to enhance government services. The 5th Ibero-American Congress on Entrepreneurship, Energy, Environment and Technology – CIEEMAT is a forum for discussion and creation of synergies among different students, professors, researchers and professionals to favour the development of Entrepreneurship, Energy, Environment and Technology. The challenges of higher education for the 21st century, such as the centralization of educational procedures in the student, and the sharing of experiences between institutions at the level of international cooperation, double graduation, and cooperation with the community, are also discussion topics in this conference. This conference will be held at the Polytechnic Campus of Portalegre (Portugal), from the 11th to the 13th September 2019. The journal Inventions sponsors this conference, with an award for the best communication presented, and a Special Issue of selected papers presented at the event. For more information about this conference please visit the website. The Bioenergy International Conference 2019 will be held from 11th to 13th September 2019 at the Polytechnic Campus of Portalegre (Portugal). This congress is organised by researchers of the C3i/IPP (Portalegre, Portugal), and AreanaTejo, Energy Agency (Portugal) with the objective to join academics, researchers and companies in an international forum to discuss matters related to bioenergy technologies, economic and policy aspects. 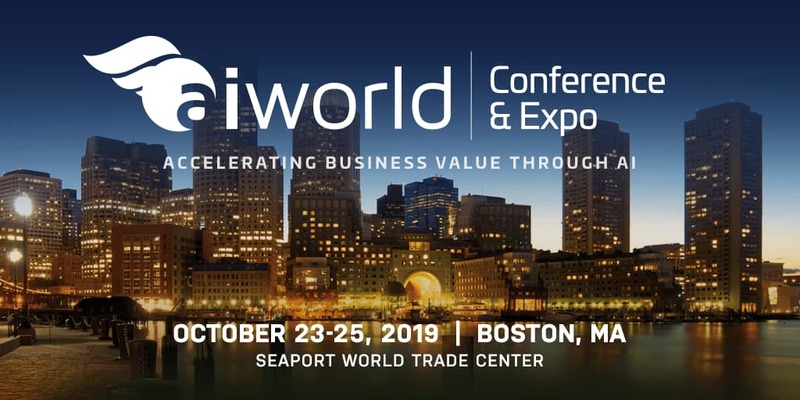 AI World Conference and Expo (October 23-25 in Boston, MA) has become the industry’s largest independent AI business event and is focused on the state of the practice of AI and intelligent automation in the enterprise. The AI World 3-day conference and expo delivers a complete spectrum of content covering a multitude of industries, an executive summit, seminars, workshops, insightful AI case studies, the industry’s largest expo and peer networking for business and technology executives who want to create new and lasting business value for their organization. Increasing power consumption, CO2 reduction, growing mobility or progressing automation – none of these future megatrends is possible without powerful electric drives. The electrification of the automobile powertrain is considered crucial, as the whole sector is facing difficulties resulting from the substitution of the conventional combustion engine. Besides advancing ideas on the design of powerful electric drives, the organization of the manufacturing processes and systems is of great importance. The 8th International Electric Drives Production Conference offers an outstanding platform for the exchange of experiences for developers, researchers and potential users. The focus of the conference is set on the presentation of highly innovative products from various industries as well as manufacturing processes and strategies. The conference will be accompanied by an industrial exhibition, a poster presentation and a social program. The Economy, Sustainable Development and Energy International Conference (ESDEIC) provides a permanent and multidisciplinary knowledge international network on the topics of economy, sustainable development, and energy. This conference offers a platform to share and discuss proposals and research, and to draw insights and encourage collaboration from many topics, disciplines, and backgrounds, promoting research and education to build a fair global community and more sustainable societies. ESDEIC is an international forum where researchers, environmentalists, scientists, scholars and students, share their ideas, experiences, advancements, and research results about all aspects related to economy, sustainable development and energy. We also want to discuss the practical challenges encountered, and their possible solutions. This conference will take place at the Queen Margaret University, in Edinburgh (Scotland, UK), from the 25th to the 27th of June 2018. All papers will be reviewed by experts in their (corresponding) fields, and will be included on the proceedings of the conference. Selected papers will be published on Special Issues of International Journals. The post conference proceedings will be submitted to be indexed in Google Scholar, Scopus and Thomson Reuters. The conference abstracts and proceedings book, CD and certificates of presentation and attendance, will be distributed to the delegates at the conference registration desk. The Environment, Green Technology and Engineering International Conference (EGTEIC) was conceived to address the challenges our planet is facing today, to share and discuss proposals and research that can help us to build more resilient technologies, and to draw insights and encourage collaboration from many topics, disciplines, and backgrounds, to tackle these challenges. Our aim is to share experiences and knowledge related to the use of natural resources, covering a wide range of critically important topics. EGTEIC is an international forum where researchers, environmentalists, scientists, scholars and students, share their ideas, experiences, advancements, and research results about all aspects related to energy, environmental science, and green technologies. We also want to discuss the practical challenges encountered, and their possible solutions. This conference will take place in the Polytechnic School of the University of Extremadura, in the world heritage city of Caceres (Extremadura, Spain), from the 18th to the 20th of June 2018. 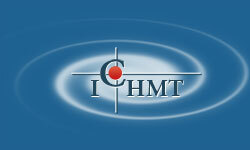 It is a great pleasure to invite you to attend the 3rd International Conference on Inventions (ICI). The ICI series of conferences are collaborating with MDPI’s journals Applied Sciences and Inventions in order to collate papers in Special Issues. The aims and scope of the 3rd International Conference on Inventions is to make researchers focus on patent-based research: an invention is a solution to a specific technological problem and is an improvement on a machine or product, or a new process for creating an object or a particular result, which could potentially realize a completely unique function or radical breakthrough. We expect the conference to be a platform for successful patent inventors to share their experiences with their fellow participants. We are looking forward to welcoming you to the 3rd International Conference on Inventions at Sun Moon Lake, Taiwan from September 29 to October 2, 2017. The International Research Conference on Sustainable Energy, Engineering, Materials and Environment (SEEME), which is organised by researchers from Northumbria University in partnership with Theorem Conferences and Events. This event will be held from the 26th– 28th of July 2017 at the Northumbria University, in Newcastle Upon Tyne (England). All presented papers will be published in the conference proceedings. Selected papers will be invited for consideration as a full peer review submission of the conference journals, which information you can see by clicking here. Finally, we would like to inform you that in this edition of the conference, the Journal Inventions is sponsoring the award for best communication, which will be delivered during the conference. This award consists of 300CHF and a certificate of best communication. We are looking forward to welcoming you to Newcastle. Selected papers will be invited for consideration as a full peer review submission in the upcoming Special Issue of Inventions. The booming economic development in Asia, particularly the leading manufacturing industries from auto-mobile, machinery, computer, communication, consumer product, flat panel display to semiconductor and micro/nano areas have attracted intense attention among universities, research institutions and many industrial corporations. This conference aims to provide a broad international forum for world researchers, engineers, and professionals working in the areas of manufacturing to discuss and exchange various scientific, technical and management aspects across the wide spectrum of the society. The theme of the conference is set as Advanced Manufacture, Focusing on New and Emerging Technologies Papers with innovative idea or research results in all aspects of advanced manufacture are encouraged to submit. This conference must attentive towards strong interactions among researchers disseminating their high quality research results. It is a great pleasure to invite you to attend the 2nd International Conference on INVENTIONS (ICI) which is initiated by a newly established international journal INVENTIONS in MDPI. The aims and scope of the 2016 international conference on Inventions is to make researchers focus on patent based researches. An invention is a solution to a specific technological problem and is an improvement upon a machine or product, or a new process for creating an object or a result, which also could achieve a completely unique function or a radical breakthrough. However there is a very thin line between brilliant innovation and absolute failure, as some of these inventors famously found out or even face with the problems of insufficient funds. Therefore patent based researches are a form that offering a way to apprehend the ideas and advance on the projects immediately, rapidly by the successful, practical results of predecessors. We expect the conference to be a platform for successful patent inventors to share their experiences in inventing with all participants. At the same time, the conference also aims to gather and show high quality papers concerning the discovery of completely unique functions or results while even go further to advance the frontiers of science and extends the standards of excellence established by Inventions to readers. With many discussions based in patent, no matter the conference or Inventions would inspire more in all levels. on Offshore Renewable Energy in Scotland, a fitting location as this is where most of the UK's offshore wind energy resources are concentrated. The conference will address the latest developments and strategies in offshore renewable energy, looking at areas such as wave and tidal energy resource, offshore wind power and technology management assessment of marine renewable energy. One of the aims of this conference is to create a framework for knowledge sharing and to develop a roadmap for research activities in the context of offshore renewable energy that are a relatively new and challenging field of interest. In particular, the conference will enable research activities leading towards innovative, cost efficient and environmentally benign offshore renewable energy conversion platforms for wind and wave energy resources. The conference will offer delegates an unparalleled opportunity to network with researchers, technology developers, industrial players, supply chain partners and potential investors. There will be a Civic Reception on Day 1 of the conference at the picturesque Glasgow City Chambers and a conference dinner on Day 2 at the Glasgow City Hotel, providing ample opportunities to gain contacts and create mutually beneficial relationships. CORE 2016 will provide an excellent learning and networking experience for delegates at all levels of industry or academia and will create the blueprint for innovative research and creative processes in the field of offshore renewable energy. The University of the West of England cordially invites you to the historic Roman city of Bath from 12-16 June 2016 for the 16th meeting of the European Society of Electroanalytical Chemistry. ESEAC was founded in 1986 by Prof. Malcolm Smyth in Dublin City University and 2016 represents the 30th Anniversary of the meeting, which brings together the most outstanding research in electroanalytical chemistry from across Europe and the world. The aims and scope of the 2015 international conference on Inventions are tried to make researchers focus on the patent based researches. Wikipedia said, an invention is a unique or novel device, method, composition or process. The invention process is a process within an overall engineering and product development process. It may be an improvement upon a machine or product, or a new process for creating an object or a result. An invention that achieves a completely unique function or result may be a radical breakthrough. Inventions often extend the boundaries of human knowledge, experience or capability.